I was minding my business when what should appear? A snowflake that had been cut sort of weird. I clicked on the link and to my surprise, I was staring Darth Vader and Boba Fett right in the eyes. I spoke not a word, just stared in awe and wished that I could cut these but I can’t even draw. To my husband I sprang and my kid gave a whistle, as I asked him to try and make these. He bristled. 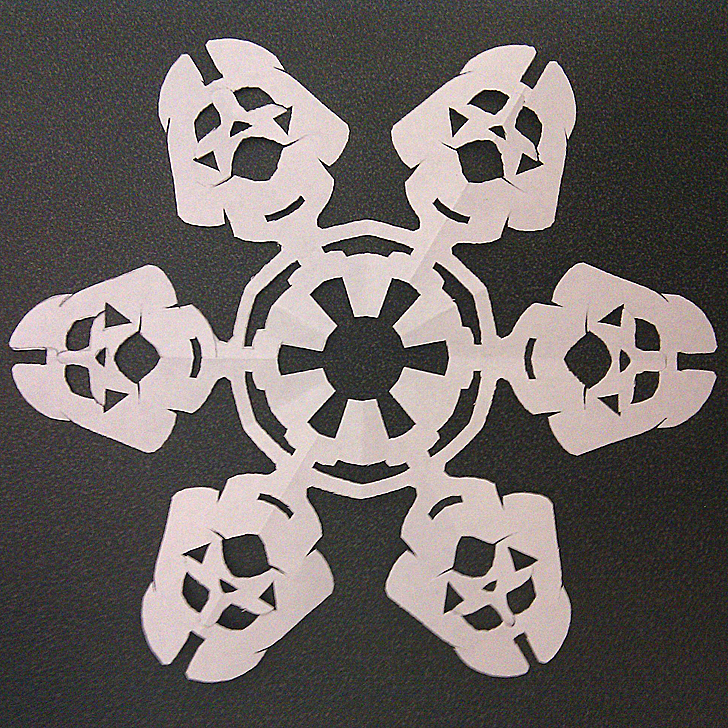 “You are the master snowflake cutter”, said I and my daughter put in her two cents as she cried. “Please Daddy Please! Can we make them together?” And I knew that I had him, he could never say never. He spoke not a word but went straight to the template. How will they turn out? I don’t know yet. It’s a Christmas break project for daughter and Daddy and a perfect reason to spend time together.